A heartfelt THANK YOU to everyone who came out to support the art community at the Festival of Rock Posters. It was great to see old friends and make some new ones too. We hope to do it again next year. Until then, enjoy these pictures. 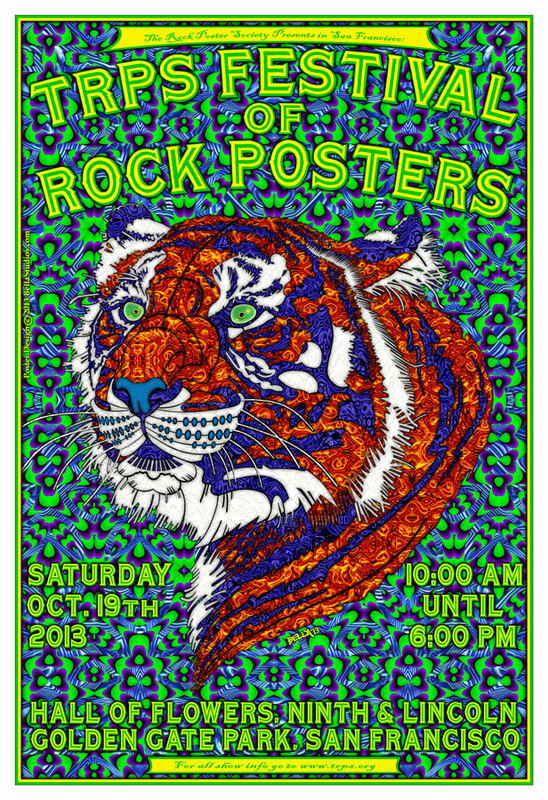 Our big event of the year, the TRPS Festival of Rock Posters, is set to go on Saturday October 19th. 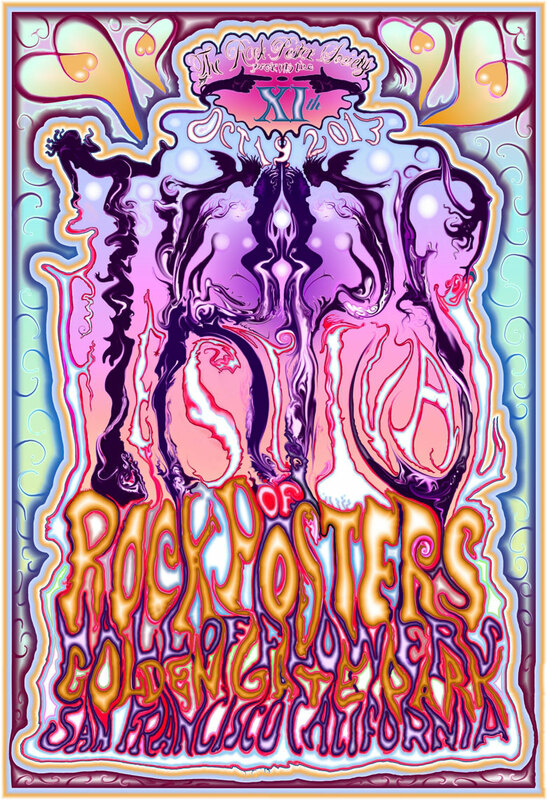 We’ll be back at the Hall of Flowers in Golden Gate Park in San Francisco for the biggest poster event of its kind anywhere, and this is shaping up to be another great show with a stellar lineup of poster artists and dealers. For a long time we’ve discussed the idea of revamping our show admission protocols to reward current TRPS members and encourage more people to join. This year we’re making it happen, and here’s how it’s going to work. 10:00 – 11:00 Admission is $20 for non-TRPS members. Admission for members is $5 as usual, and your membership needs to be current. Please bring your card to show at the door. If your membership is expired or you’re a nonmember, you pay the full admission price at the door and we refund you the $15 difference by renewing or joining at the TRPS table. We encourage you to make sure your membership is current before the show to avoid the hassle. It’s easier than ever to join or renew on our website www.trps.org. We’ve even got two new TRPS t-shirt designs to offer for the first time (by Alex Fischer and Art Chantry), and you can pick one as a membership premium. 11:00 – 3:00 Admission is $10 for non-TRPS members, and $5 for members. Just like always. 3:00 – 6:00 Admission is FREE to all. If being part of the early rush isn’t important to you, heck just come later when things have settled down a bit and get in for nothing. Hey, can’t beat that. Bring your friends and family! The Hall of Flowers (Old County Fair Building) is just inside Golden Gate Park at the corner of Ninth and Lincoln in SF. Show hours are 10:00 am until 6:00 pm. Mark down Saturday October 19th, 2013 on your calendar. For any poster collector or fan, this is the one show you don’t want to miss. Join the event now on Facebook. Join the event discussion on ExpressoBeans.com. 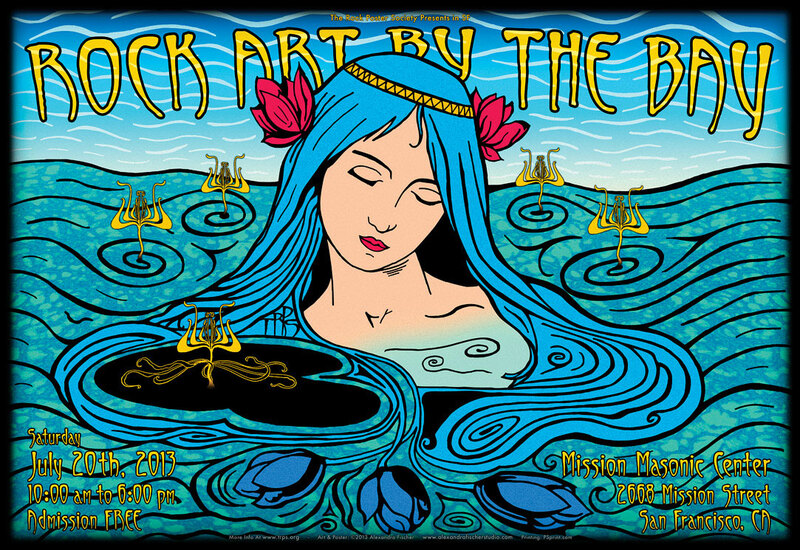 The Rock Poster Soci­ety (TRPS) is pleased to announce our annual rock poster art event of the sum­mer, Rock Art By The Bay at Masonic Mission Center on Saturday July 20, 2013. This year’s show will run from 10:00am to 6:00 pm. Admission is FREE. Join the event now on Facebook. Special Thank You to Alexandra Fischer for designing this year’s poster.